In the beauty industry, there are a lot of gadgets. Whether you're curling your hair or your eye lashes, there's a device for everything. A lot of these devices, however, have remained unchanged for a long time. Take, for example, the blow dryer. The heating element used requires so much power that a special adapter is required to use one out of the country, and the cords are usually just long enough that you're tethered to the wall while in use. Ryan Goldman of VOLO Beauty has set out to change all of that. 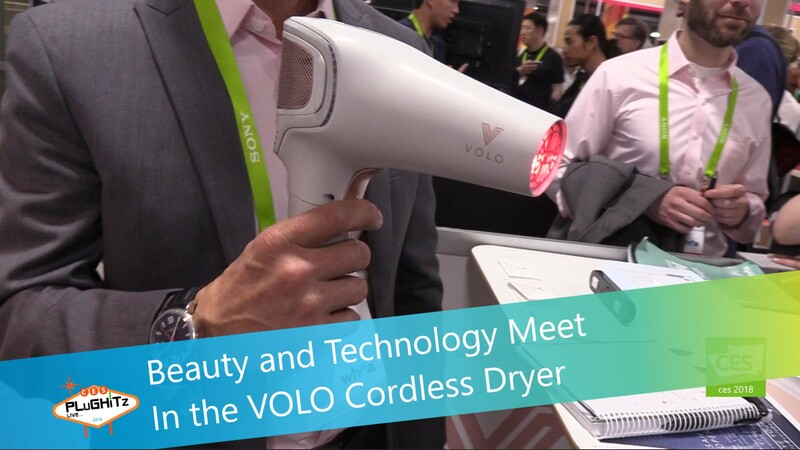 Their new cordless blow dryer is one of the first of its kind, but distinguishes itself in other ways, as well. Ryan didn't just want to bring the same old dryer to market without a cord; instead, he wanted to make sure that the dryer was more energy efficient, so that it would last its longest on a charge. So, rather than a traditional heating coil, VOLO has designed an infrared heating bulb system, which uses 600 watts rather than the more traditional 1800 watts. As an added bonus, the infrared system dries the hair faster, and more evenly, making the product more healthy for the hair. The product will be launching on Kickstarter this Spring, and will be available afterward on Indiegogo On Demand. The retail price will be $388, with discounts for preorders. You can also sign up for their waitlist so you can find out when the campaign launches.